DAIEI MONSTER MOVIES!!! 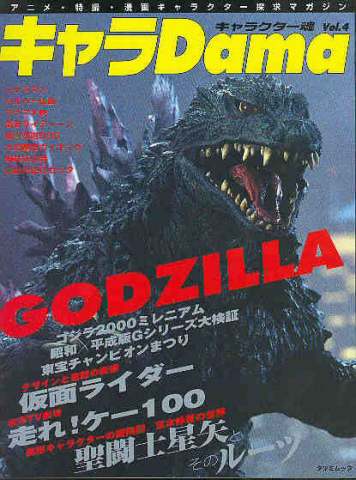 Remember all those wonderful Daiei Science Fiction and Giant Monster Movies?? This new 125 page book published by KADOKAWA SHOTEN is full of COLOR and BLACK & WHITE photos from some of Daiei's most memerable TOKOSATSU movies! DIMAJIN The Stone Warrier, Japanese (Yokai) Ghost Stories like 100 Ghosts, The Giant SPIDER, ALL OF THE SHOWA GAMERA MOVIES, ALL OF THE HEISEI GAMERA MOVIES FROM 1965 TO 2006 including GAMERA LITTLE BRAVES. Approx. 12 inches by 8 1/2 inches, this wonderful book has amazing shots from the movies as well as pages and pages of Daiei Movie POSTERS! One sheet, two sheet, speed sheets!! Included are pages of LOBBY CARDS! How about Daiei's "Invisable Man?" ALIEN "STAR MAN!!" HOW ABOUT BEHIND THE SCENES SHOTS OF "FLIGHT FROM ASHIYA" staring YUL BRYNNER and RICHARD WIDMARK!! Famous by yet little known Daiei flims like the 1963 "War films, Japanese HORROR". REALLY OBSCURE PHOTOS FROM THE NEVER COMPLETED "GIANT RAT" MOVIE. The story goes that they had to stop production when the studio was infested with fleas!! If you are a fan of Japanese Sci-Fi and Giant Monster Movies, YOU WILL LOVE THIS BOOK!! DAIEI MOVIES FROM 1942 UNTIL 2006. CLAWMARK TOYS WARNING: COLLECTING JAPANESE SCI-FI AND TOKOSATSU BOOKS CAN BE HABIT FORMING!